Capture What You Think. Do What You Plan. ConceptDraw MINDMAP is a simple and versatile tool for organizing ideas and data. Its potential uses are almost limitless — brainstorming with a team, mapping or outlining a new project, designing a business process, and preparing presentations for nearly any setting and audience are just a few examples. ConceptDraw MINDMAP can improve the effectiveness of your planning, organization, decision-making, problem solving, presentations, and many other project-related tasks. Mind maps enable you to retain information and ideas more efficiently than traditional "linear" methods of notation. 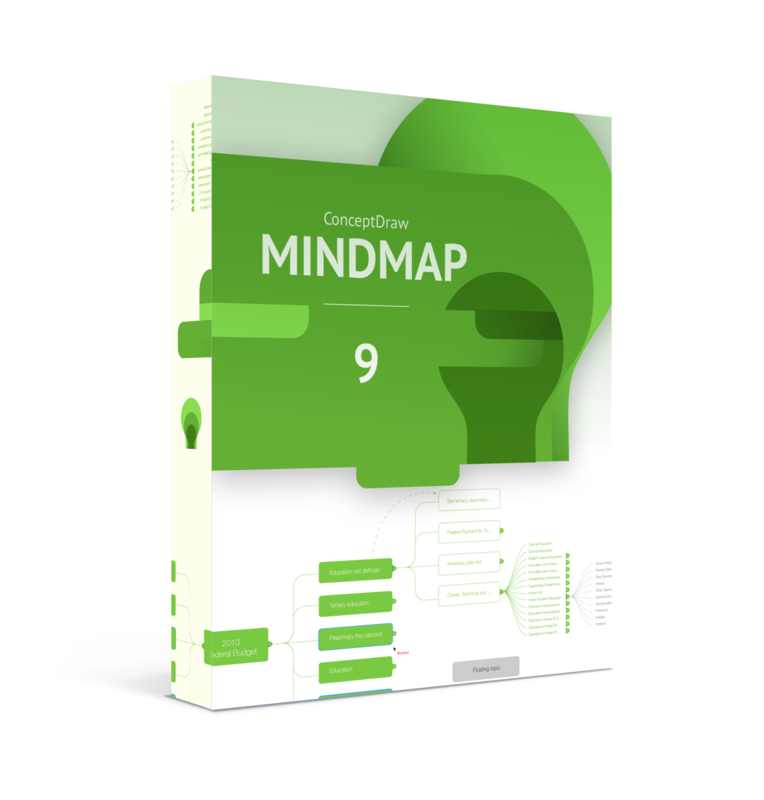 ConceptDraw MINDMAP is intended for use in generating, visualizing, structuring, and classifying ideas, and is recommended as an essential tool in any activity involving organizing data, problem solving, or decision making. Use ConceptDraw MINDMAP for creative thinking, daily planning, organization, presentations, notetaking, team brainstorming, and other tasks. ConceptDraw MINDMAP is perfect for drawing well-structured, clear, and professional training and learning materials.